Panasonic Business has showcased its range of innovative products and technologies suited to broadcast, live events, and corporate users at IBC 2018. Under the slogan of ‘Live. Sports. Entertainment.’ the Japanese manufacturer demonstrated the latest line up of studio, ENG and remote camera systems alongside an expanded network of complementary 3rd party solutions, ranging from robotic and transmission to tracking systems. In the remote camera range, Panasonic introduced the newest addition to its comprehensive, professional PTZ camera line-up - the AW-UE150. This new flagship model is the first in its class to feature 4K 50p and a wide viewing angle of 75.1 degrees along with 20x optical zoom and 32x intelligent zoom. It also comes with a large 1-type MOS sensor, 12G-SDI, HDMI, optical fibre, IP connectivity and a new crop feature allowing several Full HD shots to be taken simultaneously from a single 4K image. The camera was on display in Europe for the first time alongside a new touchscreen remote controller (AW-RP150). Offering a large LCD screen for monitoring and menu settings, the controller offers great usability and is single hand operable with a joystick that manages all control operations. At the top of its switcher range, Panasonic introduced the AV-HS7300, a powerful and flexible switcher designed for both 4K and HD production needs. This provides up to 72 inputs and 42 outputs to support large scale programs. With its operability enhanced by ergonomically designed panels, the switcher balances ease of handling within a powerful system, while offering class leading, internal 4K processing. 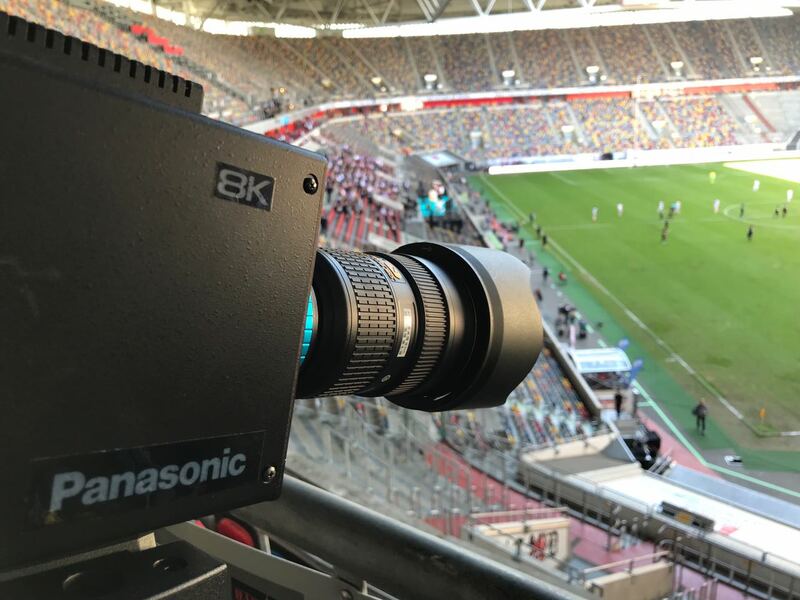 Panasonic also announced a growing market share for its studio camera range, thanks to adoption by key European broadcasters and production companies such as France Televisions, Mediapro and Streamteam. Since re-launching its studio range in 2012, Panasonic has achieved a 17 per cent share of the total European market and 40 per cent of its targeted live and mid-range studio market1. To maintain its momentum, Panasonic announced a selectable high speed (2x, 3x and 4x) firmware update to its AK-UC4000. The studio camera, launched in March 2018, now has the capability for 4K output via the 12G-SDI outputs from the camera head and from the camera control unit. It operates in both HDR and SDR modes simultaneously, with the 4.4K sensor and 2/3 type B4 lens mount enabling true 4K resolution and high sensitivity images. 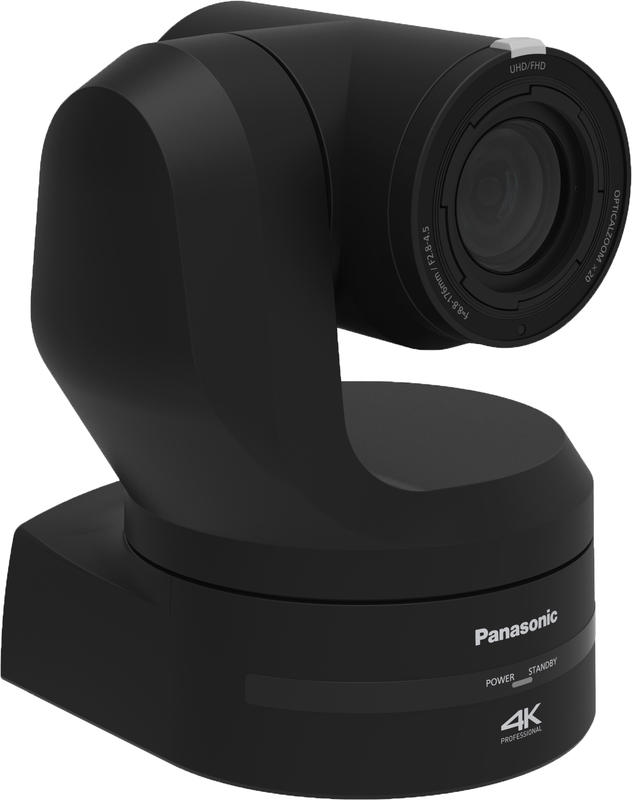 For the ENG sector, Panasonic unveiled a brand new P2 B4 Shoulder Camera, the AJ-PX5100. Featuring a 2/3 type 2.2M 3MOS sensor, high sensitivity and HDR (HLG) support, the AJ-PX5100 offers outstanding image quality. It’s equipped with a choice of codecs including AVC-Intra200/100/50, AVC-LongG25/50, and offers dual codec recording with AVC-Proxy. For storage, the camera offers double P2 and micro P2 slots making it an efficient and reliable recorder. Multiple interfaces, streaming capabilities, P2 Cast work flow with a dedicated ROP app and integration with the AK-HRP200 controller ensures the camera meets the industry’s need for high speed network workflows. Panasonic also announced the latest from its growing number of third party integrations, an agreement with Quicklink to distribute its ‘Studio-in-a-box’ solution. 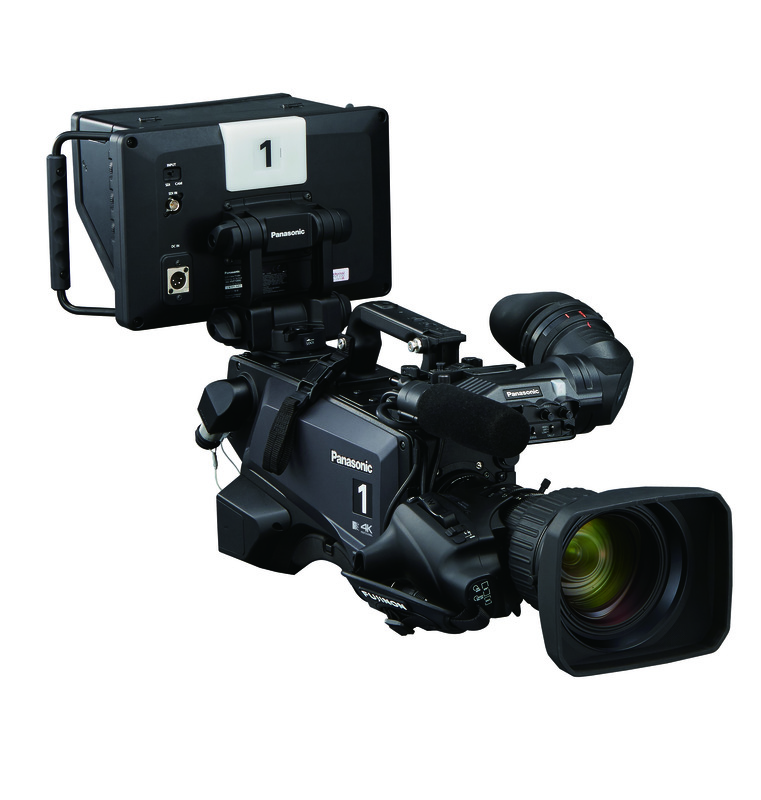 The portable box solution comes with an in-built Panasonic remote camera and is targeted at the ENG sector. It provides instant provision of broadcasting resources from various locations, all fully remote controlled and managed by the central studio. At its stand, Panasonic demonstrated its new cutting-edge 8K Region Of Interest (ROI) technology. It uses a single 8K camera to provide an image canvas from which up to four separate Full HD images can be taken simultaneously. The system greatly reduces operational costs and complexity within live events. It also increases revenue by converting camera spaces to additional seats and reducing the number of cameras needed on site. Another technology on show is the 8K MoIP (Media over IP), the next generation IP based operating system, that enables system integration based on IP broadcast standards (ST2110). The technology supports scalability, remote operation and resource sharing with standard IP protocols. Panasonic introduced a brand new IP media processor, demonstrated at IBC as both as an IP/SDI Gateway and as a scalable switcher mainframe, that allows 2ME switcher operation along with more conventional switcher control panel operation too. Finally, Panasonic updated the industry on its large sensor cinema look for live entertainment production, so called ‘CineLive’ configuration. The EVA1 now features wired remote control using the CyanView RCP, while the 4K DTS transmission and control system for the VariCam LT was also on stand.